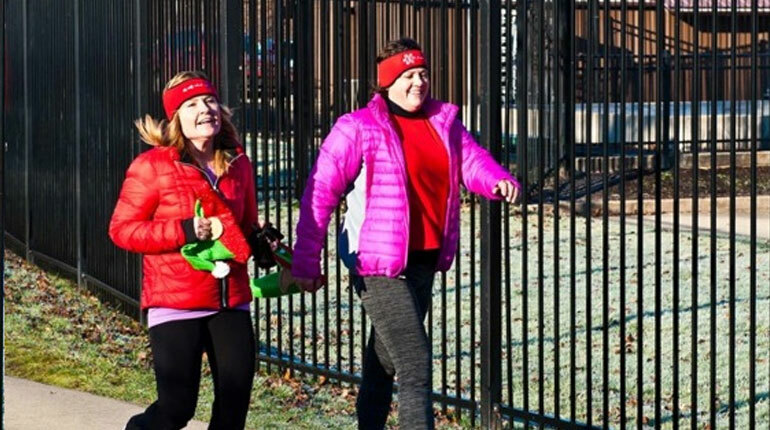 Strength Balance & Yoga 's Mary Ann Renzelli co chaired the Jingle Bell Jog for toys held the first Saturday of each December at the Bridgeport Civic Center Trail. 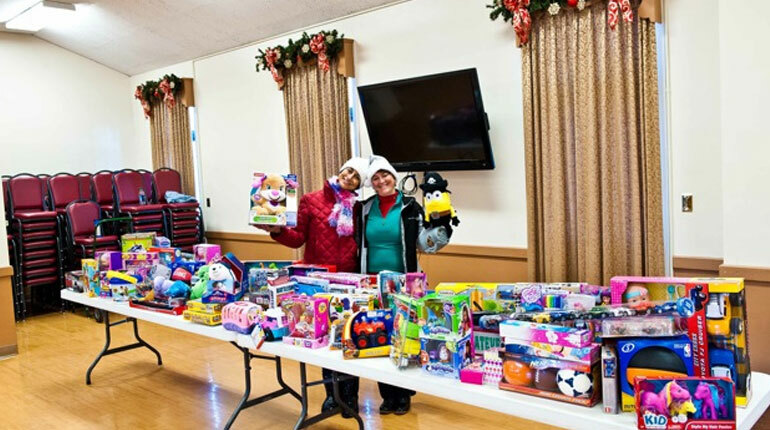 Entry fee were unwrapped toys donated by each runner for the Salvation Army toy drive. 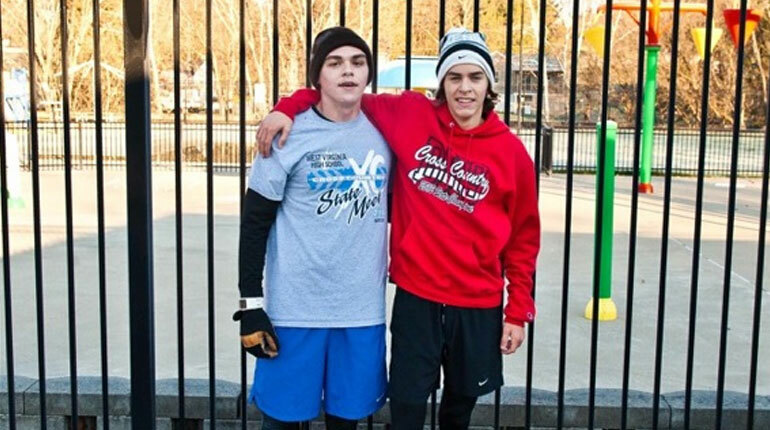 Over 80 runners participated. 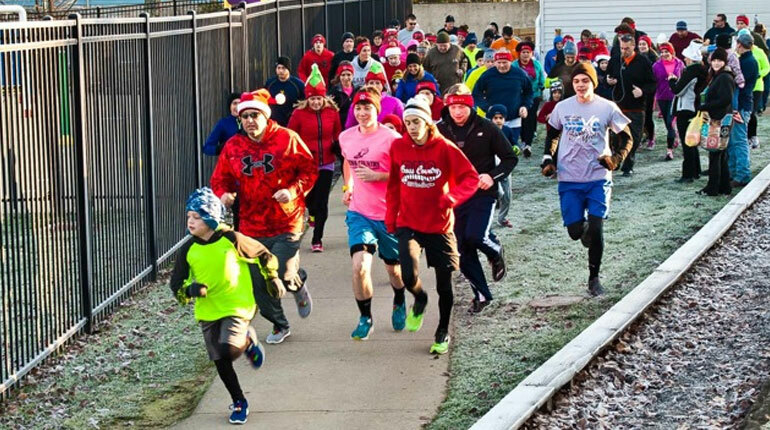 This is the 13th year for the annual event held the first Sat in Dec. PLan to participate next year. 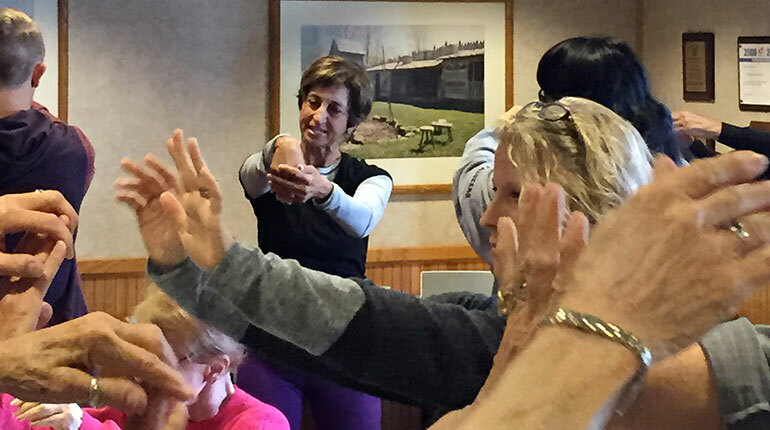 Mary Ann Renzelli explained the benefits of balance and yoga to the Parkinson's support group. The meeting was held recently at Eat and Park restaurant. 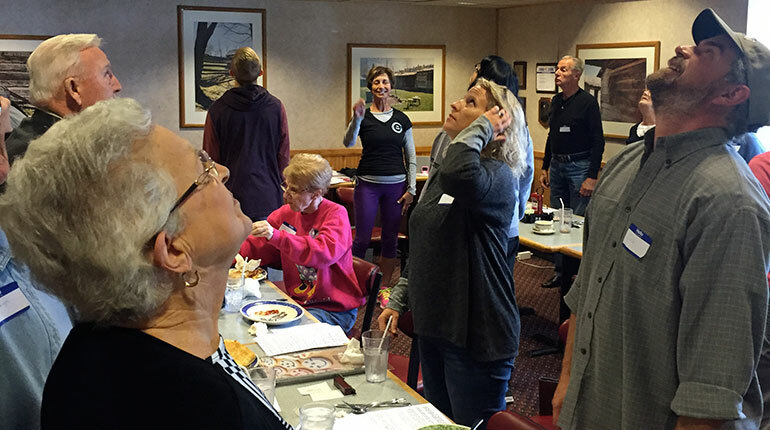 The Parkinsons group meets monthly. 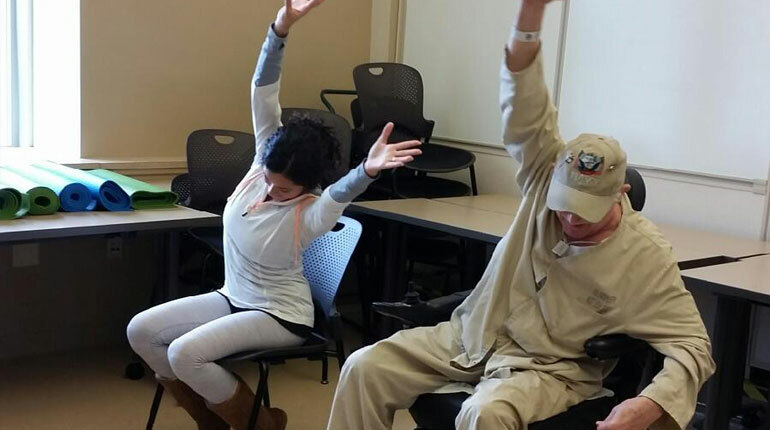 Members enjoyed the movement and education provided by SBY studio. 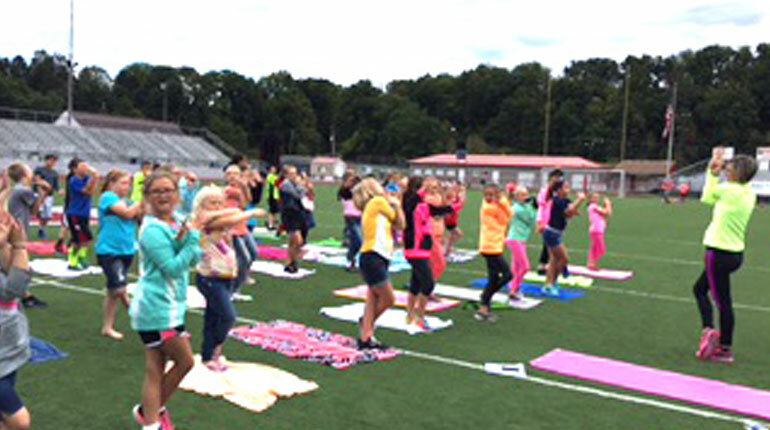 Bridgeport High School’s Physical Education program switched it up this week. 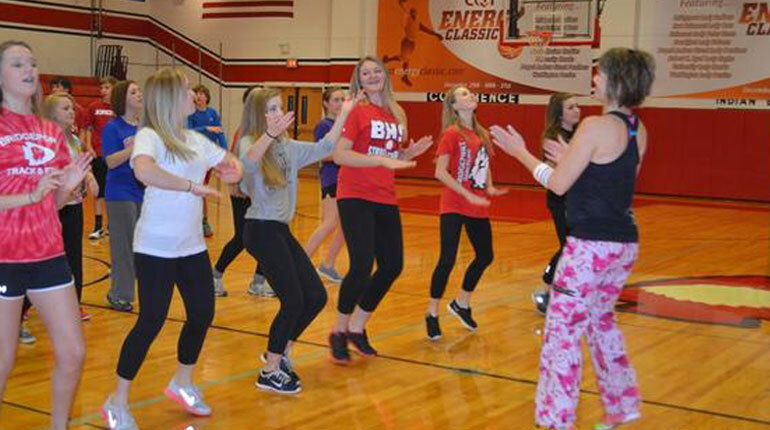 Rather than running laps, doing calisthenics, playing basketball or volleyball, students have been engaging in a little Zumba - complete with Latin music and smooth dance moves. Monday and Tuesday, morning coed classes under the direction of Robert Shields and Michelle Robey have been in full Zumba mode. 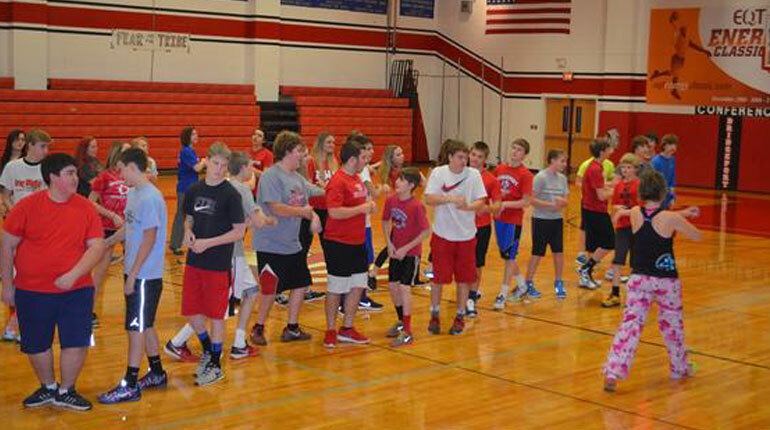 Providing the instructional fun and fitness to high-energy holiday tunes is local Zumba instructor, Cynthia Campbell. 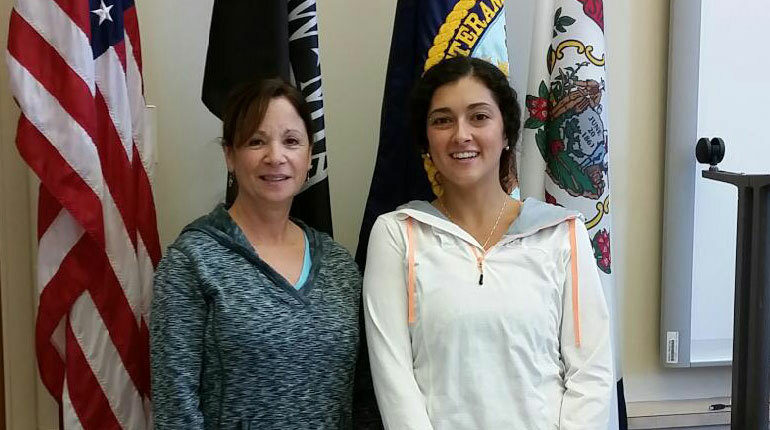 With classes at Strength, Balance & Yoga in Clarksburg, Campbell has also taught at the Maple Lake Clubhouse and Bridgeport Pool. 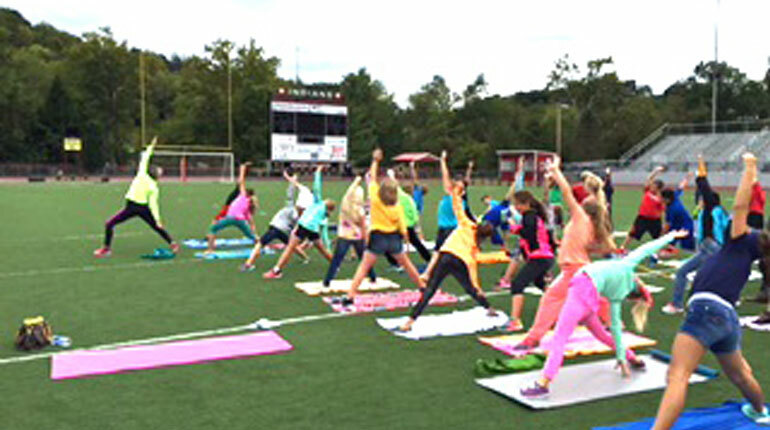 Not only have students experienced some fun variety this week, they have also received instruction meeting a state physical education requirement, Robey said.